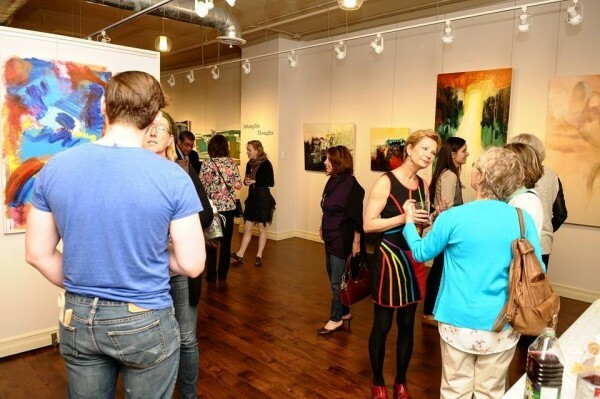 When the Gallery first opened with the Grand Opening Reception: Endless Possibilities Exhibition it was an immediate hit, garnering attention from many artists and the locals. 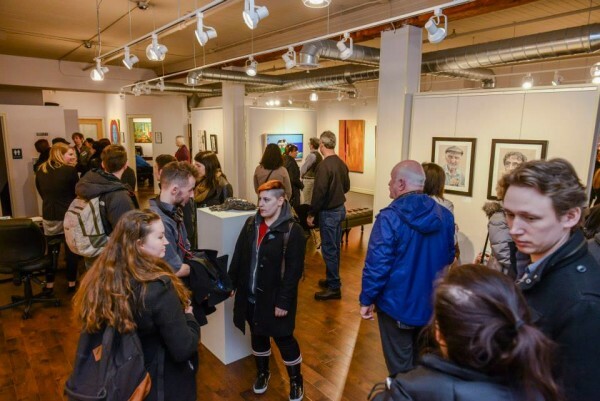 With artists such as Calder Kibyuk, Nancy Roberts, Melanie Morrissey, Crystal Samson, Lynn Johnsson, Brendon Currie, and Monika Wright participating and made it to the finals. The show was simply fantastic. Focusing on abstract bodies of work more artists are able to let their minds loose to create intricate inspirational paintings that capture the word intangible. 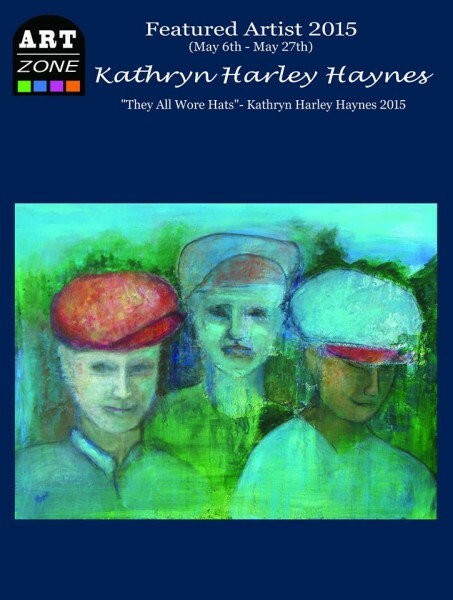 The featured artist Kathryn Harley Haynes in her show creates ghostly figures with luminescent colours. 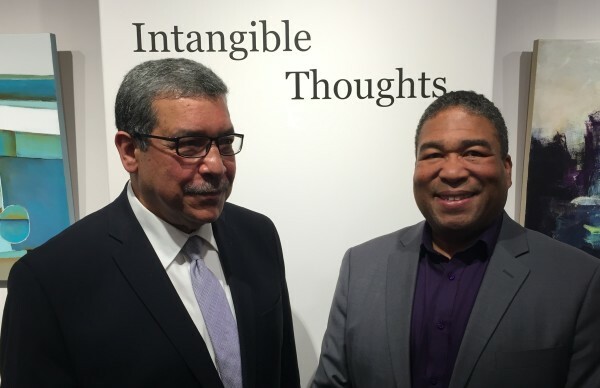 We also had the Minister of Culture stop in for a time to view the show and the work that was apart of Intangible Thoughts. 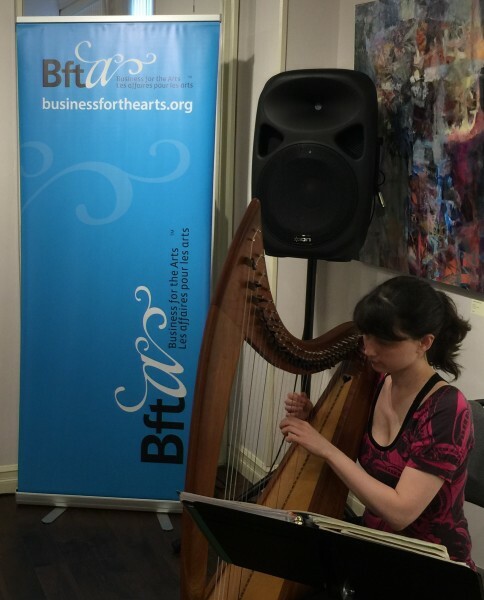 We hosted a special celebration meeting for “Business for the Arts” organisation who supports art projects everywhere in Canada. It is always a pleasure receiving such guests. 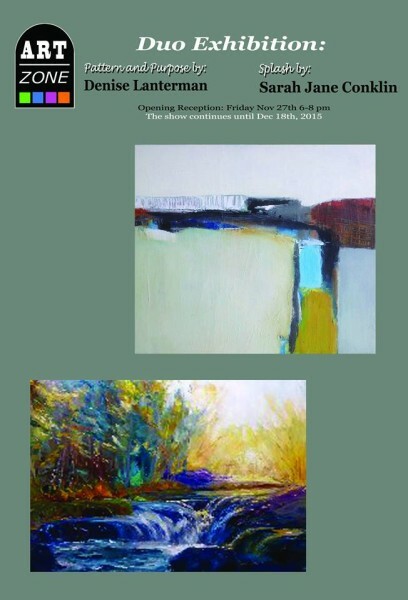 Urban Construct2015, our third group show featuring many local artists from the surrounding area with many pieces inspired by cities and the urban areas that we inhabit. This show was rousing success in displaying many skilled individuals. Rae Smith, master pastel artist, was the featured artist surrounding us with many beautiful illustrations of the surrounding area. His work is usually illustrated on sandpaper – a unique platform for pastels. 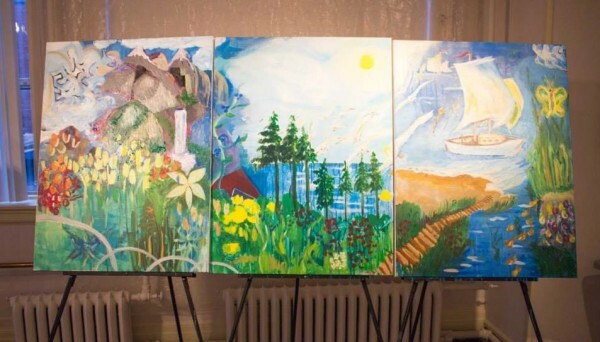 One of the first communal painting events that took place with member artists and with members of the community to create a triptych of several summer scenes that blend into each other. 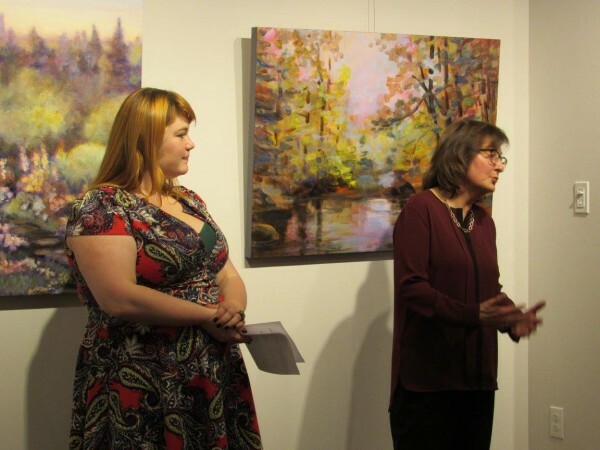 Our member artists included in its production were Crystal Parker and Rae Smith. 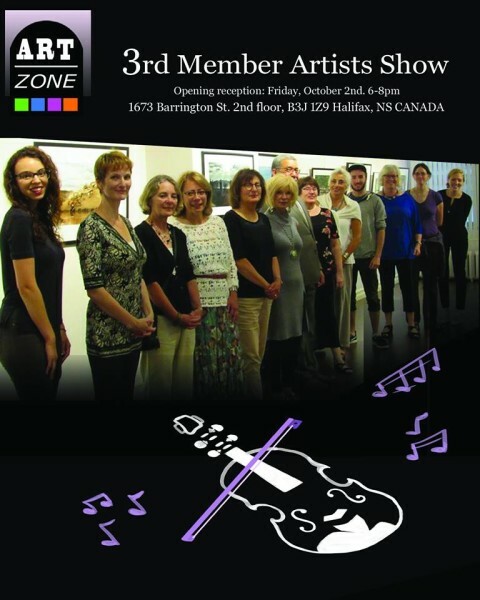 First member artist show featuring all of our member artists that submitted work, and drawing a rather large crowd. 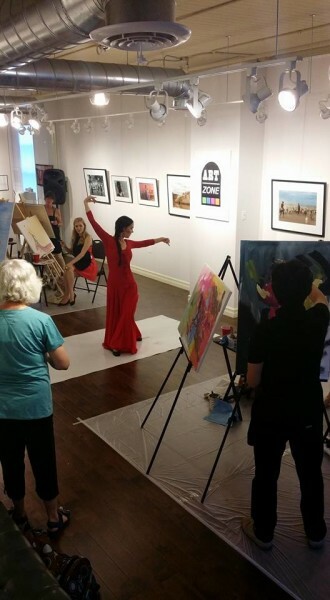 With a multitude of members, the work that was displayed that night varied in the best ways, illuminating the creative minds that have been drawn to the gallery. 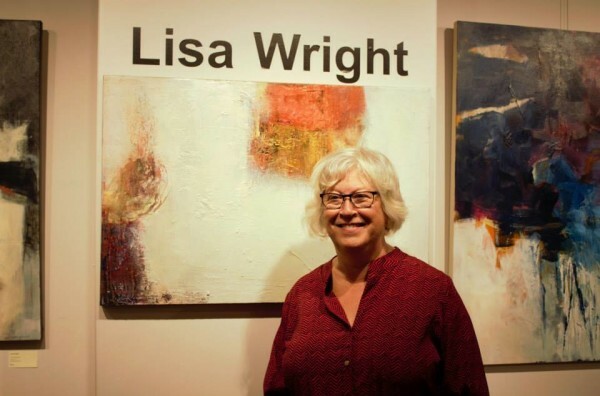 Lisa Wright was our featured artist displaying her intriguing abstracts that are inspired by the everyday landscapes that surround her. These abstracts challenge the viewer to come up with their own interpretation. One of our first public painting contests took place within mid August inviting the public to join us to partake and display their talents. 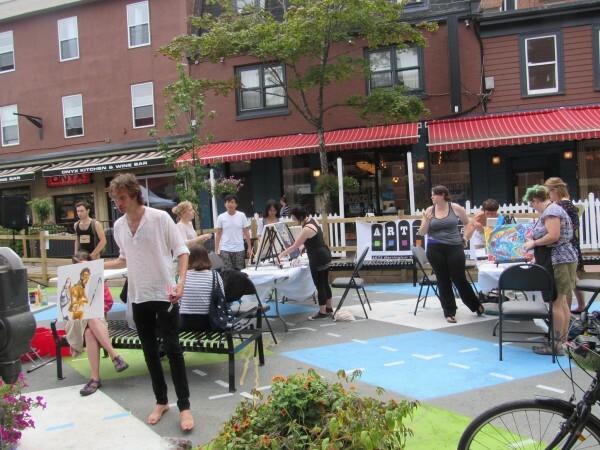 This was part of “Mingle on Argyle” initiative by Downtown Halifax. The contest took place on Argyle Street. 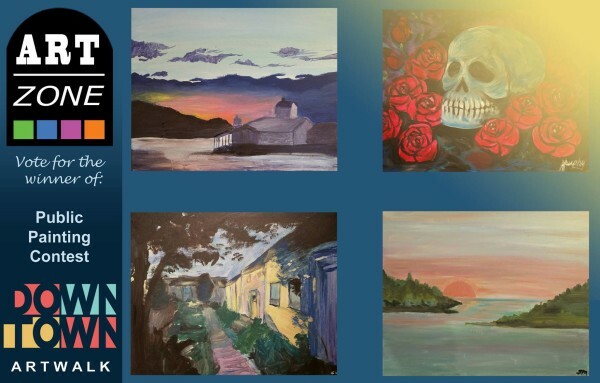 With many contestants, it was difficult to pick just one painting to be the winner! 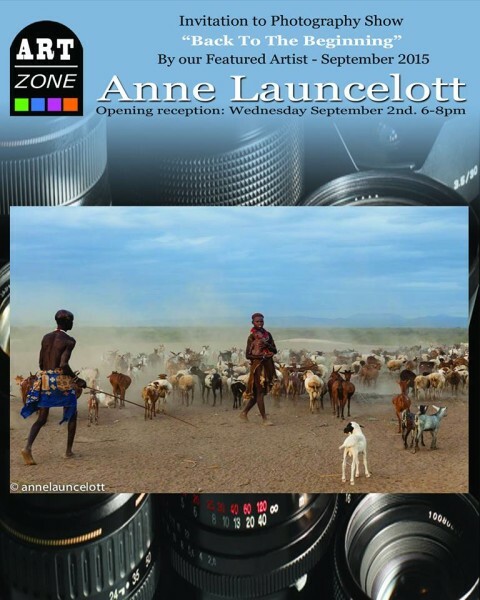 With stunning photography from fantastical places, Anne’s prowess in capturing the right image at the right time blew us all away. With our wonderful and prolific members, we had an influx of new artwork done in many mediums to display to our guests that evening. 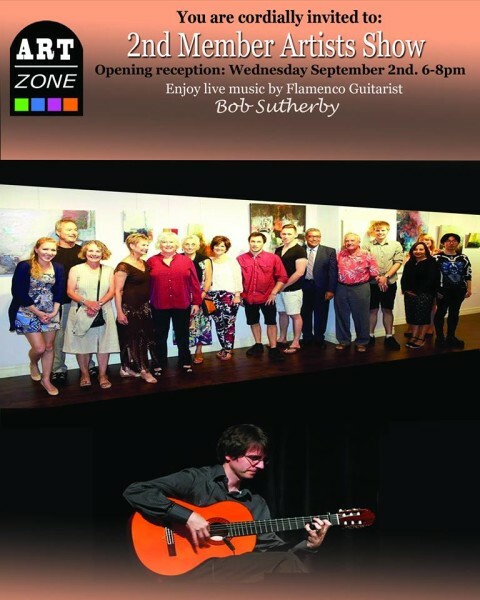 With wonderful Guitar music, the night was a huge success. 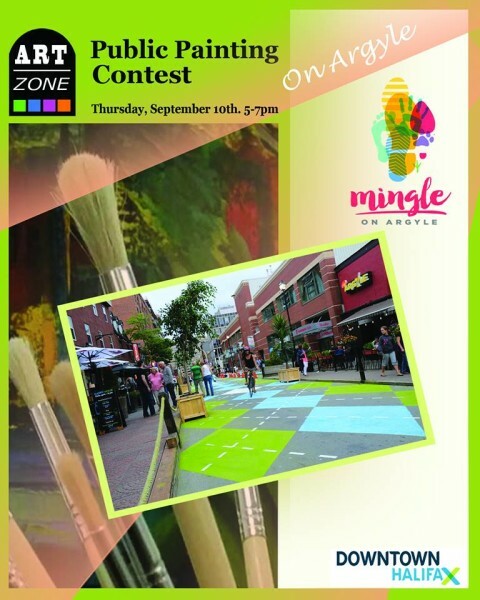 This painting contest took place completely outside on Argyle street. The weather persisted for the first round of participants, but unfortunately we had to bring the rest of the competitors under one of our tents to avoid the rain. 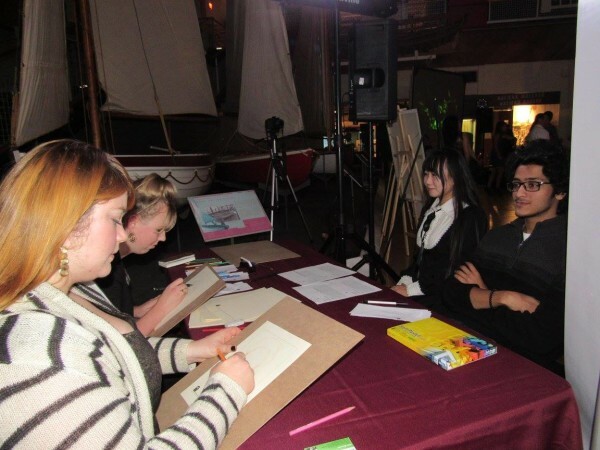 However the competition provided several winners, some of which came back for our next event. 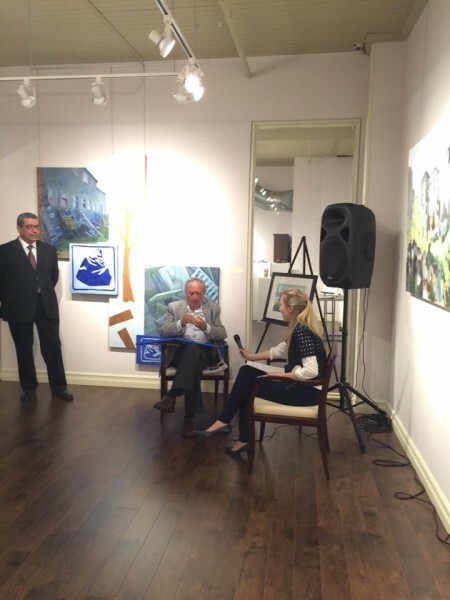 A very successful Live painting event took place where multiple members and winners of the painting contest came forth to paint La Azulita. The artists were assisted by Katie Hillman. At the end of the session we had a couple new members. 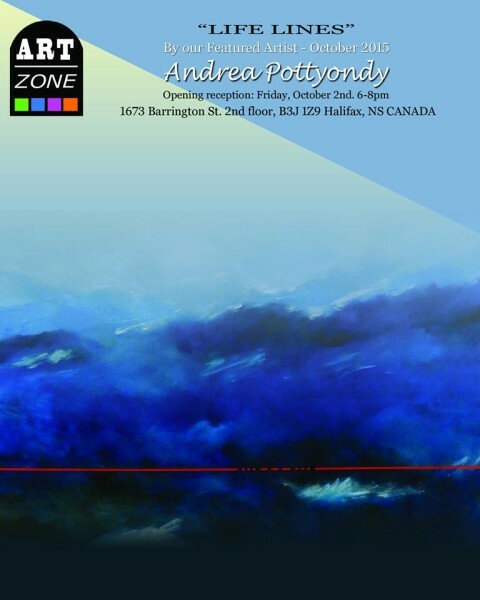 Our third member artists’ show featuring Andrea Pottyondy and our member artists with new work. Her show life lines made us all ponder about our own lives. The abstracts were inspired from a time a strife, making them mean all the more. 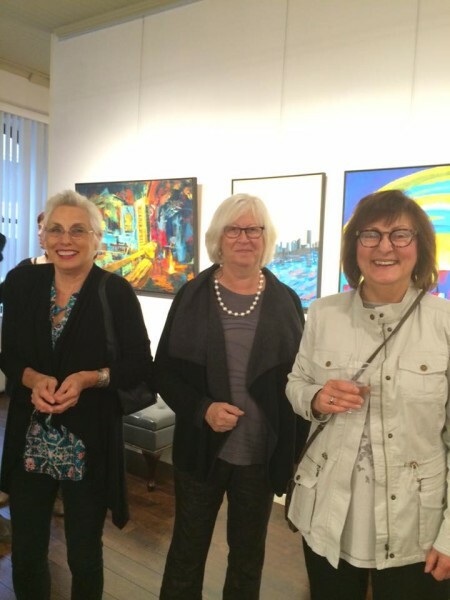 Our member artists brought in more work for the show, filling out space completely with wonderful work. 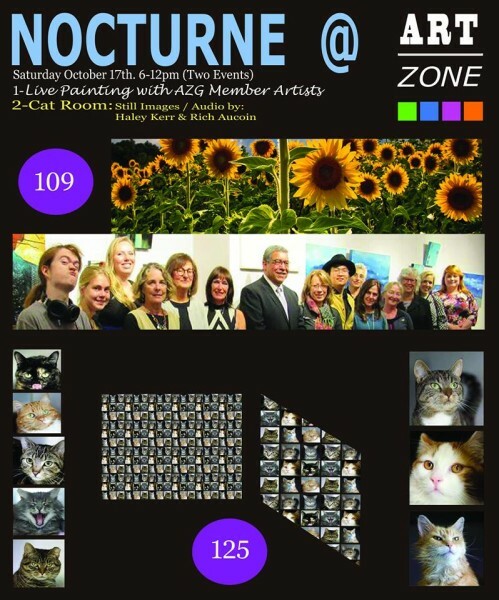 The infamous Nocturne event was incredibly popular with the general public bringing citizens of all ages to the gallery – at the wonder of what the cat room entailed. Put together by Haley Kerr and Rich Aucoin a strong vibrating loop of purring was played throughout the night. The inside of the cat room is shown at the left, and to the right are a few eager painters that contributed to a huge communal painting. It was suggested that guests use the sunflowers as a reference, but creativity cannot be stifled, and the mural became a hodge podge of different things. n the end the painting turned out splendidly. 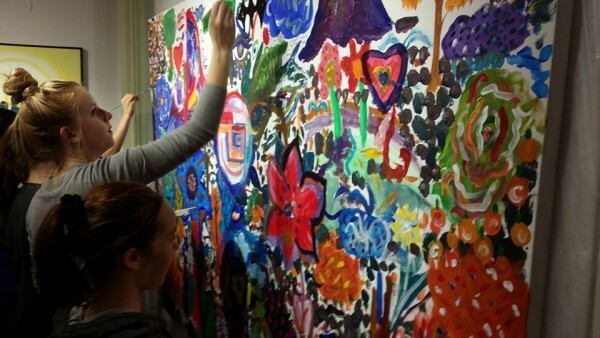 With layers upon layers of paint, many ideas burst forth to the surface. 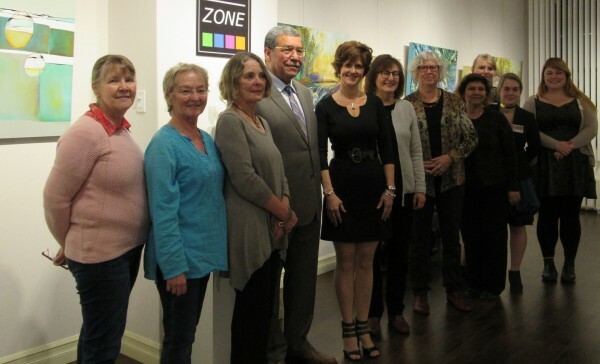 Paulette Melanson gave the gallery a sense of serenity for the entire month, using acrylic colours to create her impressions. Her paintings focused on the surrounding area that we live in painted in acrylics in a softer style, making us all feel at ease. 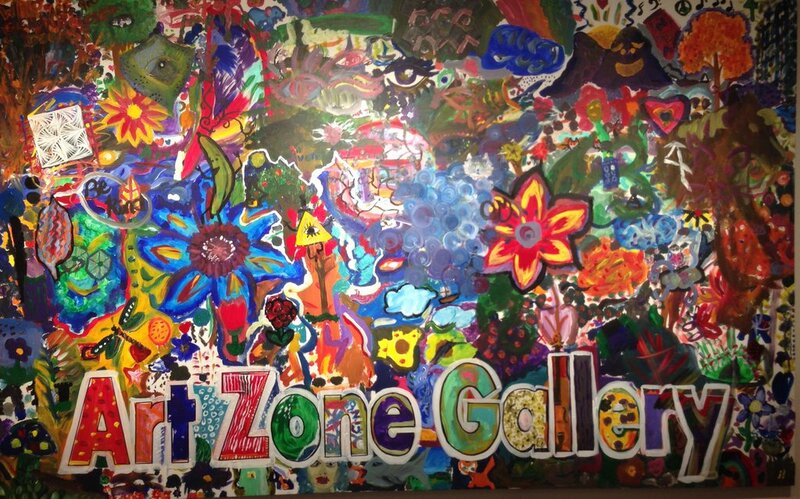 New art from various members was put on display that evening as well. 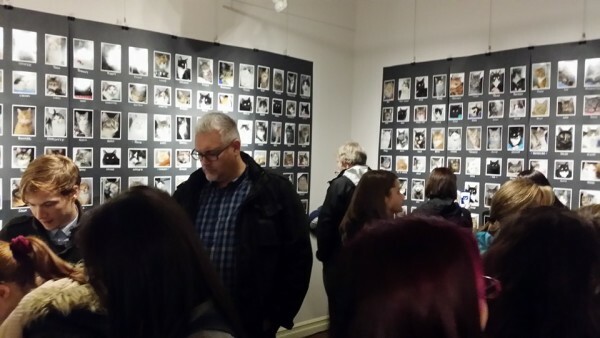 Many guests came to peruse our new display throughout the month. 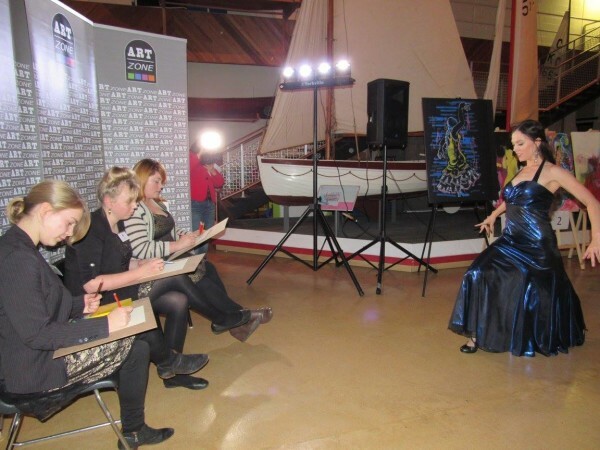 Taking place at the Maritime Museum on the waterfront, it was an amazing cultural event with live performers, dancing, and art. 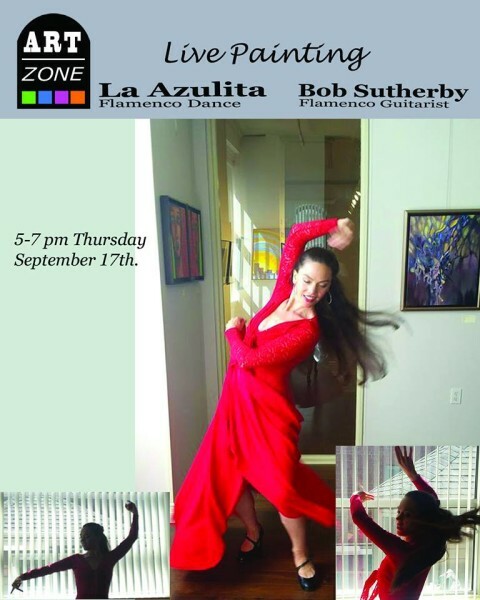 We were able to sketch La Azulita as she did several poses for Laura, Katie, and I in a few minutes. We held a competition for those who could create the best design on an illustration that we had done up in advance. 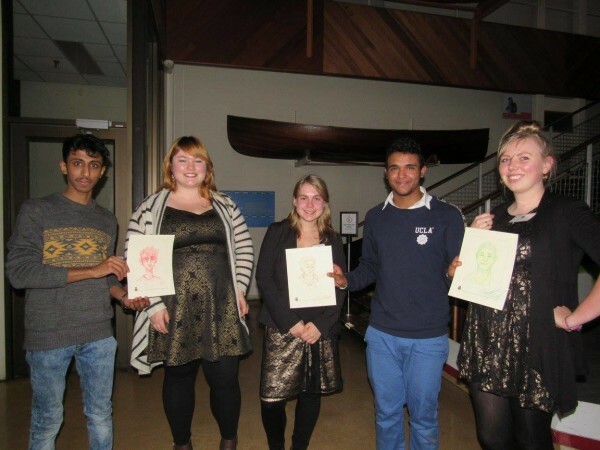 Those that were chosen as the winners out of groups of 5 received their own hand drawn portrait. 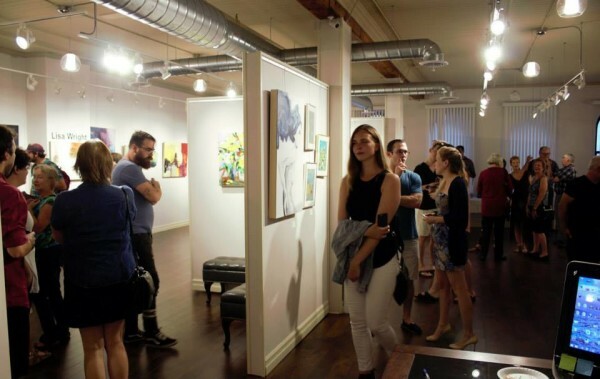 The joint show was a fantastic success with beautiful work from two unique artists. The two artists’ styles complimented each other wonderfully. Sarah Jane working with oils to create impressionistic nature landscapes, and Denise using acrylic to make beautiful ocean landscapes and many shapes to shape unique abstract paintings. All in all, 2015 was a busy, but mesmerizing year. Looking forward to 2016.